They are known as the black-blooded people or as “kotsuña” – people of the lake. For thousands of years, the pre-Inca community of the Uros has lived in lake Titicaca. 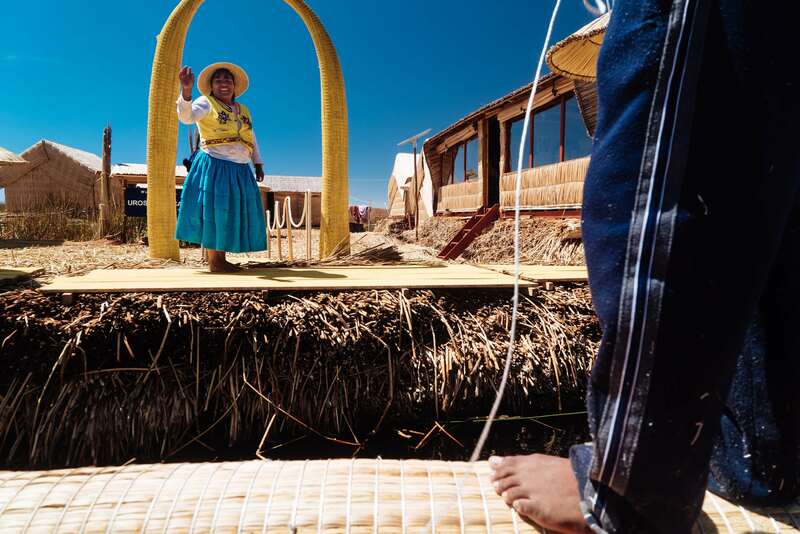 This photo essay attempts to give a glimpse into the history and the Uros way of life. The Uros community lives about 8 kilometres from the Peruvian city of Puno. 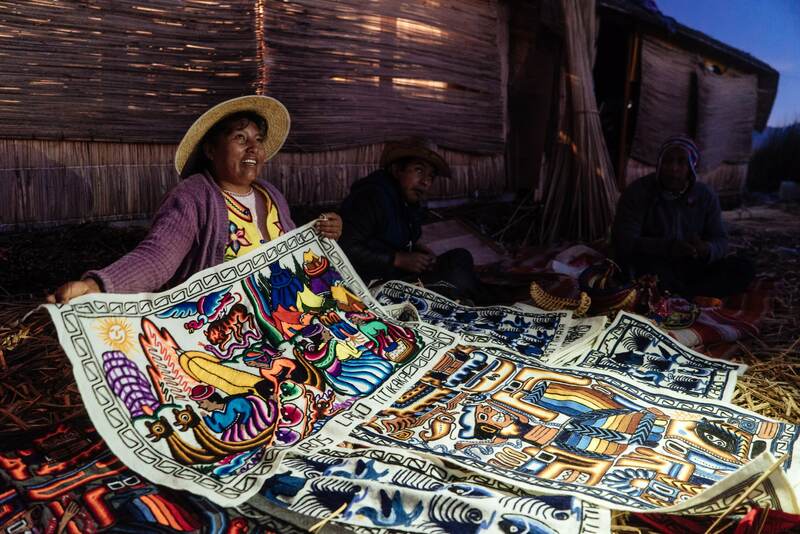 They are a community of 2,629 people, who live in a group of 91 islands made of woven Totora reed. My host and guide on the trip to Uros was Ivan, a local who was born on a floating island and still lives there with his parents, brother, wife and children. I spent two days and one night there and got the chance to observe life on a floating island. The Uros civilisation is 4500 years old. They used to be excellent farmers on the mainland, growing over 830 varieties of potatoes alone. When the Inca’s empire began to grow they absorbed many communities into the empire. Incas imposed the Quechua language on everyone but the Uros resisted and started to escape. They built houses on boats and began living in lake Titicaca. It was only fifty years ago, that they started to make reed platforms or islands. When the Spanish conquered the region, they forced Catholicism on everyone including the Uros. “We are catholic when it comes to the fiesta, otherwise we follow Andean customs and traditions,” told Ivan. There are two sacred places in Peru; the sacred valley and the sacred lake of Titicaca. The word Titicaca means “Puma(Titi) Rock(caca)”. According to the Andean people, there are two prime locations of energies on the planet; Himalaya that emits masculine energy and the lake Titicaca that is the feminine energy. Himalaya and Titicaca are antipodal points on earth, which means that they are exactly on the opposite side of the earth. Lake Titicaca is also the origin of the Inca civilisation. Every year, hundreds of thousands of people visit the Lake to absorb its energy. People living around the lake Titicaca have been using Totora reed for centuries for different purposes. It is found in abundance in the shallow areas of the lake and has several distinct properties. The porous stems of the reed absorb impurities from the water and are used as a filter. 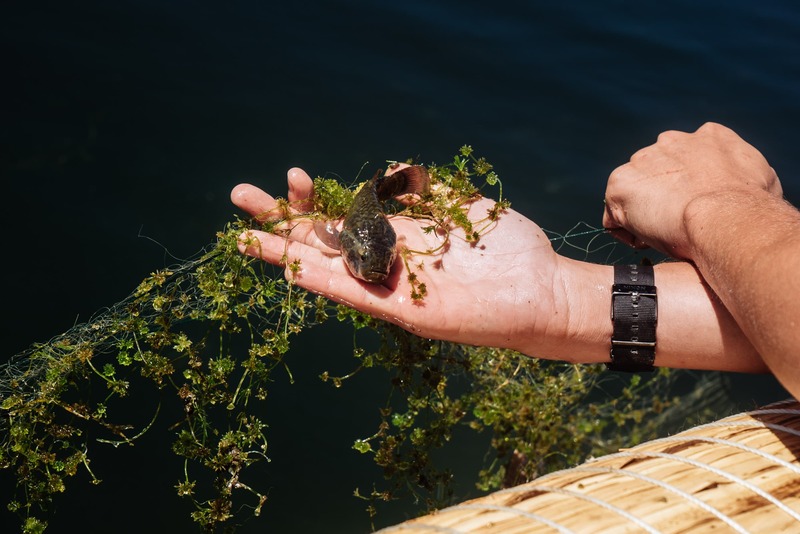 It is the presence of these plants in the lake Titicaca that purifies the water. 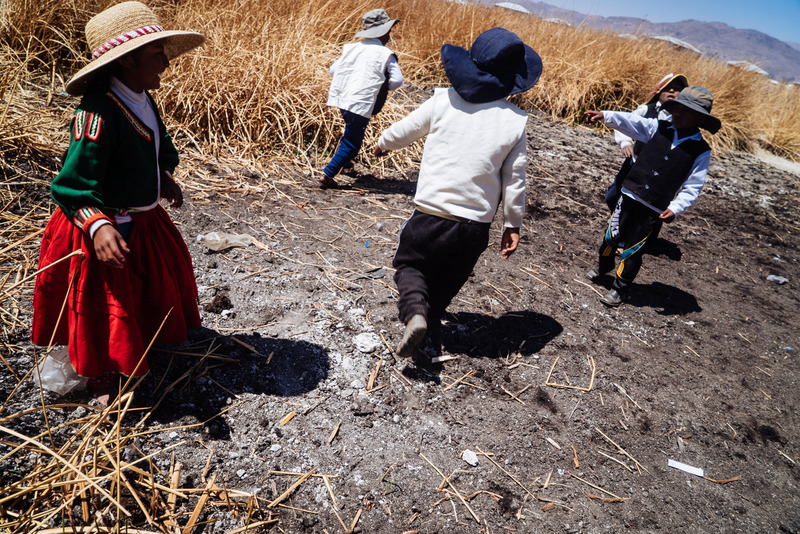 The bottom white part of the reed is called ‘the banana of the Titicaca’ or Chullo – rich in iodine and calcium, and the main source of food on the islands. It is considered to be good to increase milk in breastfeeding mothers. People also add it to cocktails for taste. The green part of the reed can be used as fodder for animals and for building roofs. The reed flowers are also used to make tea and medicine to treat ailing stomachs, stabilize digestion and painful menstrual periods. The Totora reed is also used to make boats (balsa de totora). It takes about 3 weeks to make a boat that lasts a maximum of 6-12 months, as the reed decays in water. In order to keep the reed plants alive for future growth, they cut the reeds 10-20 cm from the bottom, so as to leave the roots intact and unharmed. 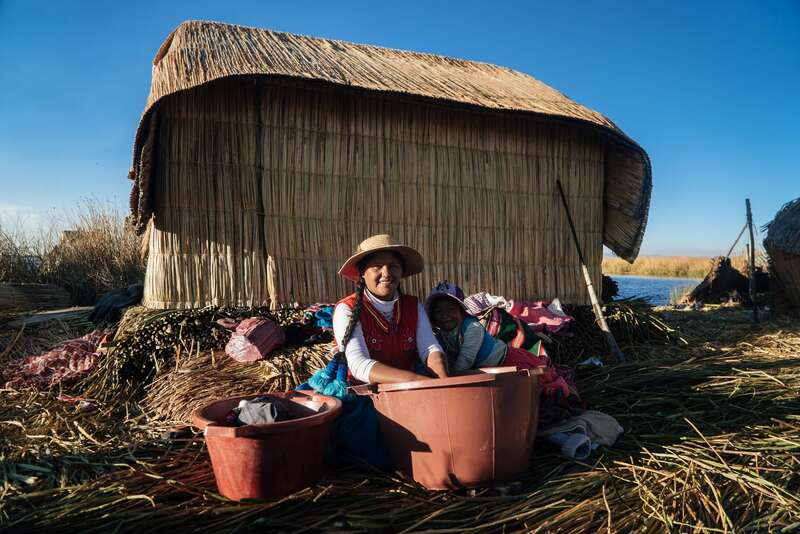 The Uros learnt how to build reed islands by watching bird nests made of reed and algae in the lake. Dense roots of reed interweave and decay underwater over a period of twenty years and begin to float. Larger pieces of these dense floating root masses (about one to two metres thick) are cut and used to make the base of the island. On top of the roots, multiple layers of woven reed are added. An island can be about 1-3 metres deep/thick. New layers of reed are added on top every two to three months as the bottom layer submerged in water decays faster. In the dry season, green reeds added at the top dry so fast, that they break and turn into dust when stepped upon. The islands, therefore, require constant maintenance, especially if visited by tourists every day. If maintained properly, a reed island can last for about 20-30 years. The main mode of living is fishing, building boats and selling handicrafts. Lake Titicaca is a natural reserve so fishing for commercial purposes is not allowed. The punishment for the violation of this law is four years in prison. 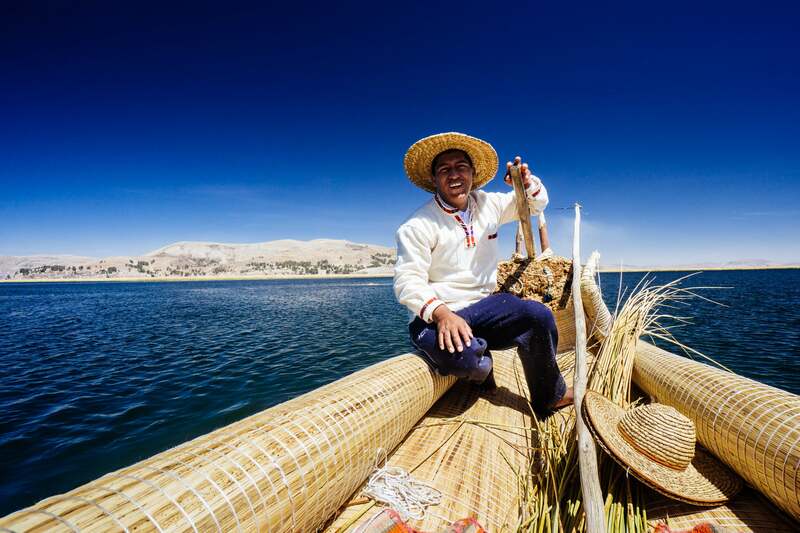 The Uros are permitted to fish for their own consumption. About 2000 fishermen, fish about 1 kg of fish each every day. 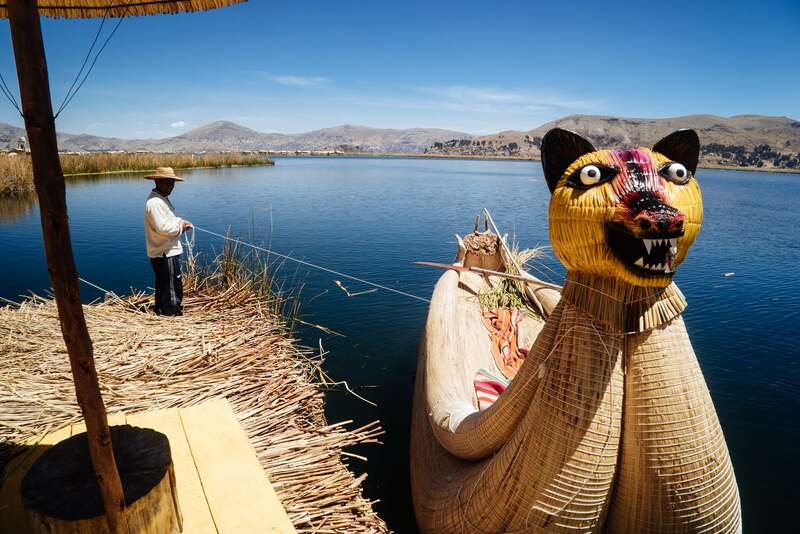 There are several types of fish in the lake Titicaca, including cat fish, trout, carachi, and kingfish. The trout fish from Canada was introduced in the lake in the 1940s. However, they can grow very big and eat smaller fishes thus threatening their population. When we back to check the net, we found six alive fish caught in the net. There were a couple of other partially decayed fish in the net as well. These fish were left there by the grebe birds; the flightless birds native to lake Titicaca. The grebe birds swallow the fish in the net and release it back along with strong digestive chemicals – leaving the fish to decay (cook) in a short period of time. The birds then return and feast on the decayed fish without even untangling it from the fishing net. “Grebe birds are our competitors when it comes to fishing in Titicaca,” Ivan told me. 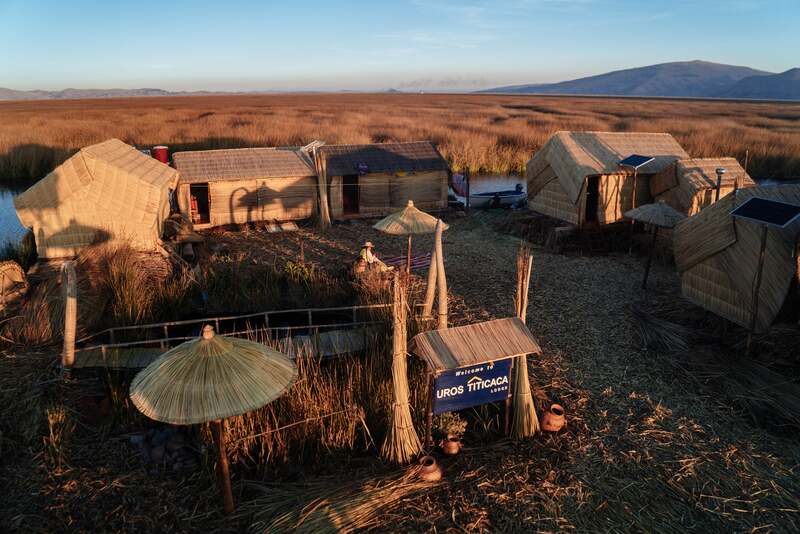 As keen observers of nature, the Uros observe where seabirds build their nests; If built on top of the reed, it implies that there will be a flood in the next season, and when built at the bottom of the reeds, it means a dry season. They call these birds ‘meteorological birds’. The parent grebe bird carries three chicks on its back. To the Uros, it represents Past (grebe looking back at chicks), Present (acting in the present moment), and Future (looking ahead) – they take it as a lesson for life. 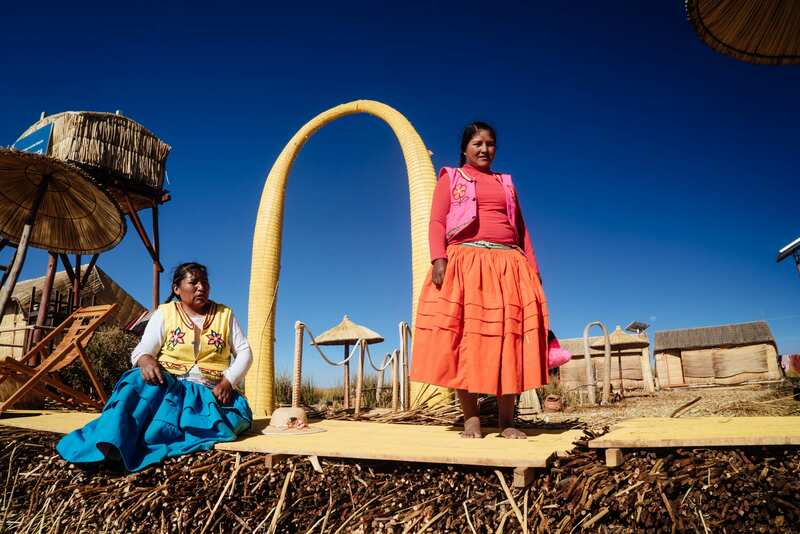 The Uros have learnt how to domesticate wild seabirds. They would collect eggs from the birds’ nests and women would keep the eggs between their breasts to keep them warm and hatch them. As the newly hatched bird would have its first contact with a person, it would consider that person their mother and thus adopt the island as its homes. At the entrance of an island, one notices a distinct Andean Cross (Chakana) symbol. It is a pre-Inca symbol and represents many things from four elements (Air, Water, Earth, Fire) to the southern cross in the sky. It contains many secret codes. “Are outsiders allowed to build an Island in Uros and live here?” I asked him. 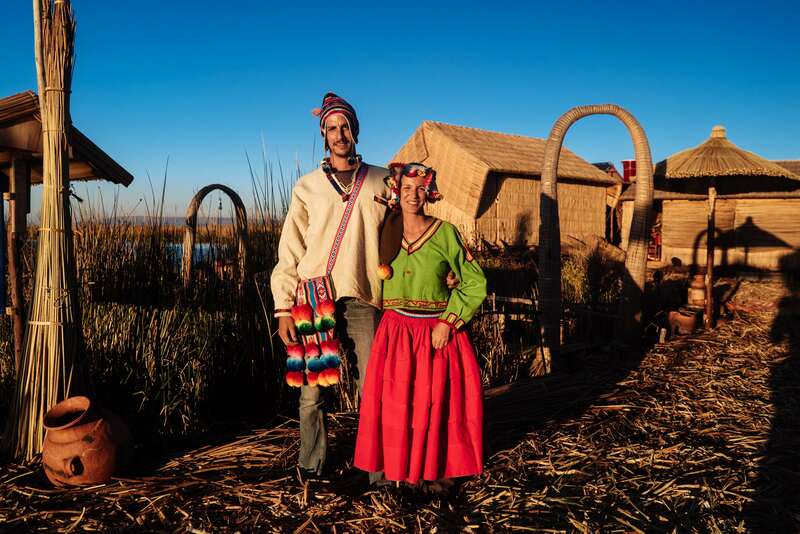 “The only way to be part of the community is to get married to an Uros,” Ivan replied. The Uros children learn to swim and row by the age of five. By 15, they are considered to be grown ups and expected to have learnt everything about their culture. But the floating islands have no barriers; as a result, about two babies die every year after falling into the water. The closest hospital is in Puno, 50 minutes away from Uros. This has serious implications for women during childbirth, as there have been times when women losing their lives on the way to Puno due to complications. Medicinal plants are used for healing. 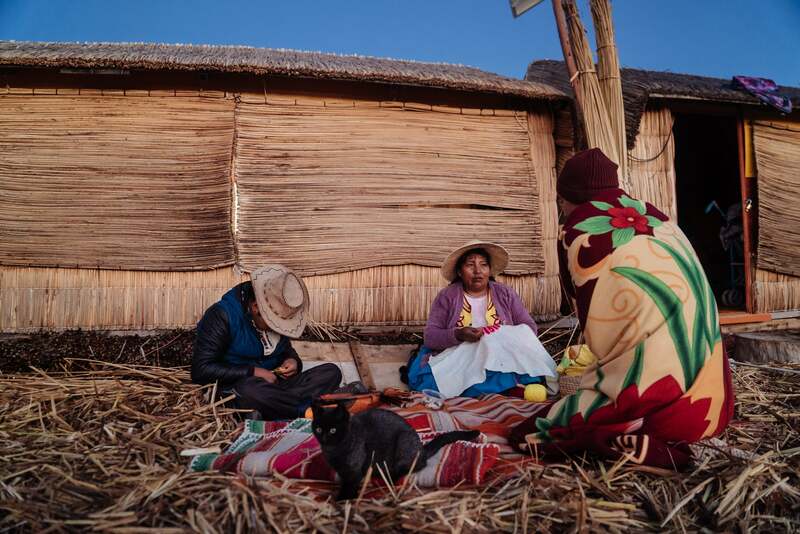 The Uros believe that the use of natural medicines help the body adapt and fight disease, while allopathic medicines weaken the immune system and have many side effects. However, 100% of the children are vaccinated, as a result of compulsion by the government in the past few years. 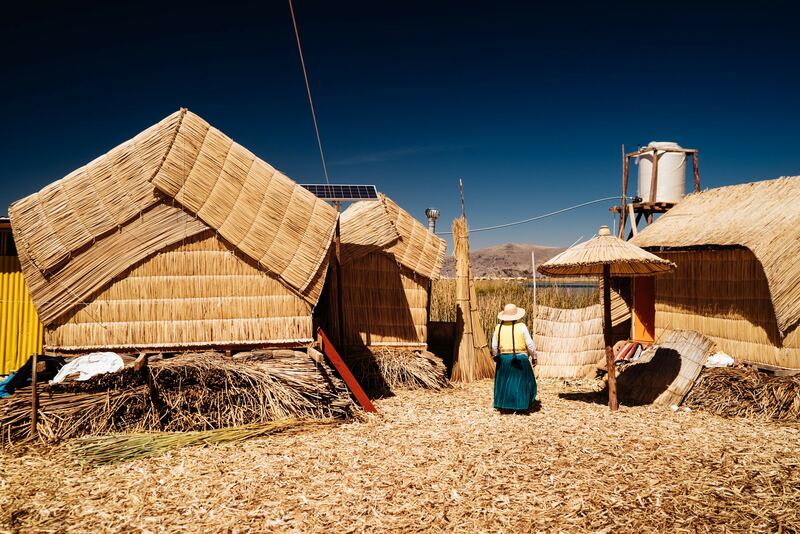 In December 2015, the Uros community bought and installed solar panels on each island. The owner of the island paid half of the cost (3000USD for one Island) and the remaining half will be paid from tourist entrance fee for the next 10 years. Solar panels have prevented many accidents; as now the Uros don’t have to light candles at night. Life is tough on the island. People living here expect to sell handicrafts. That’s how they make a living but sometimes they are not able to sell enough and have to leave the island to find work outside. People, who leave, often don’t come back to the island. The population on the island has been more or less the same in the past few years. 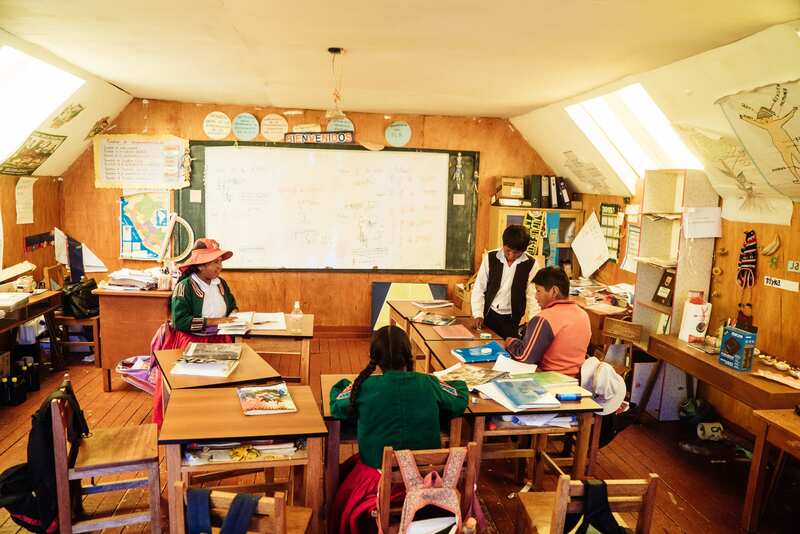 Despite their detached existence from the mainland and its communities, the Uros accord great importance to education for their children. Ivan took me to a primary school, and on the way shared his own experiences of early school days and education. The primary school consisted of three huts, partially floating, and partially built on the ground. Some years ago, 80 children used to study here. Nowadays, there are only 25. It was break time at school. There was no playground. Children were playing in the reeds on a dry area of the lake. I asked them what would they like to become in the future. They were ready with the answer. “But there is no Police needed at the floating islands. Where would you go if you become a policeman?” I asked him. There was a little girl in the typical cholita dress, wearing a pollera skirt and a hat. I asked her what would she like to become. “A doctor!” she replied with her innocent smile. The islands had a barter trade system – the exchange of goods without the use of money. But not anymore, they now use the money to buy commodities from Puno. In 1970, National Geographic released a documentary about the Uros Islands. But it is only since 2000, that tourism in the area has begun to flourish. 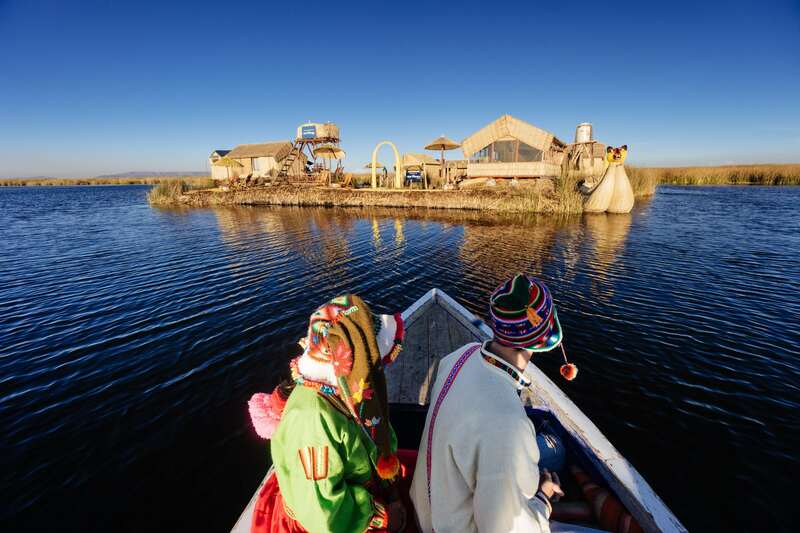 During the three months of the peak season, about 2000 people visit the Uros every day. Tourism has helped the communities earn and improve their lives. They now have access to clean energy, TV, Phone, Computers etc. However, maintenance of the islands is harder. The younger generation sometimes picks new habits from foreigners that clash with their culture and sometimes they want to leave the island life altogether. Ivan’s father (Philip) had a vision for their family. He somehow saw before anyone else could, that one day they would be able to host people on their island. They built an extra room and waited for a couple of years. During the first year, they hosted one couple from the Netherlands. Next year, they received five tourists. In the third year, 11 guests. And nowadays, they host 2-3 tourists/week on their island. “My father imagined that one day every island would have a lodge. This according to him was the future of tourism here. But many will simply want to make it a business instead of offering a cultural exchange. We do not want more and more money, just enough to live.” Ivan told me. 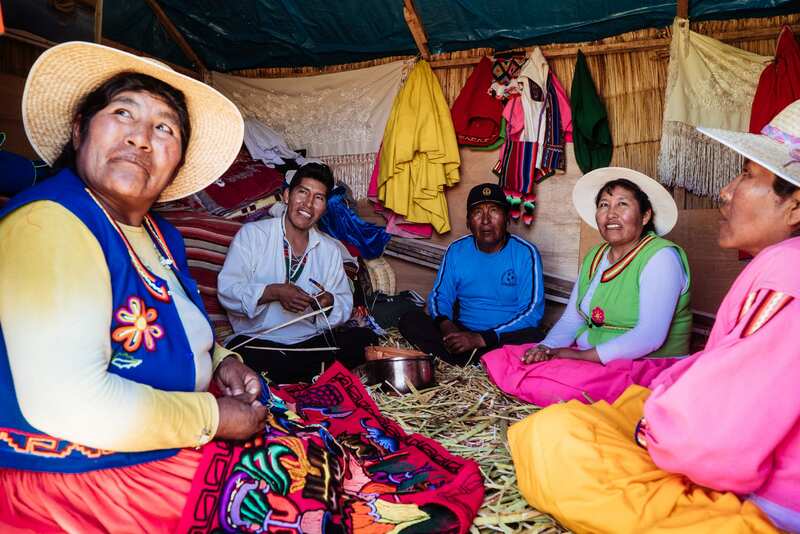 A rotation system managed by the office at the entrance of the Uros Islands makes sure that each island in the community gets its fair share of the tourists. Earlier, there were small doors and no windows in the huts. But after years of learning, they improved their huts, and now they have wooden floors and glass windows. Toilets used to be on the drylands; 10 minutes away from the island, but now they have attached bathrooms. They even have a website and provide booking via booking.com and TripAdvisor. Ivan’s family also attended food courses and competitions in Puno and learnt what type of food was suitable for travellers. 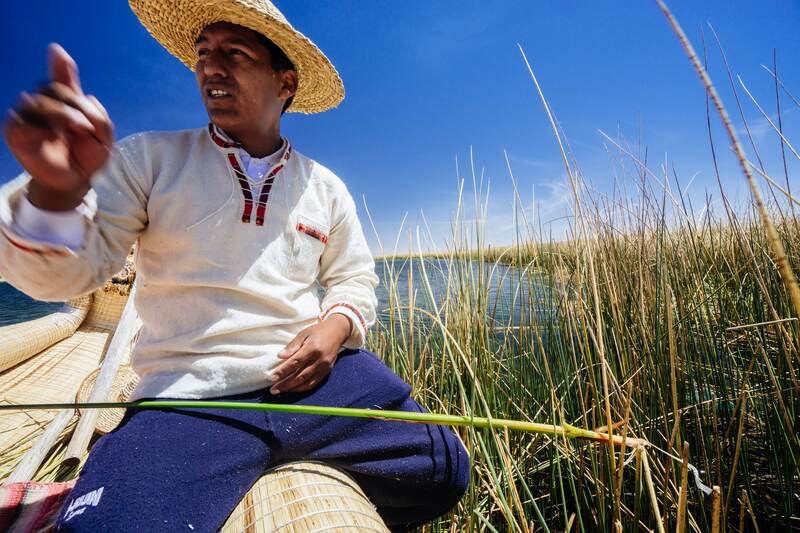 The Uros have a different digestion and drink lake water but for travellers, they cook light food with mineral water. Fire can be dangerous on the island. To prevent accidental fires, the Uros cook food with fire lit on piles of stones. Fish is grilled by placing it between hot stones. 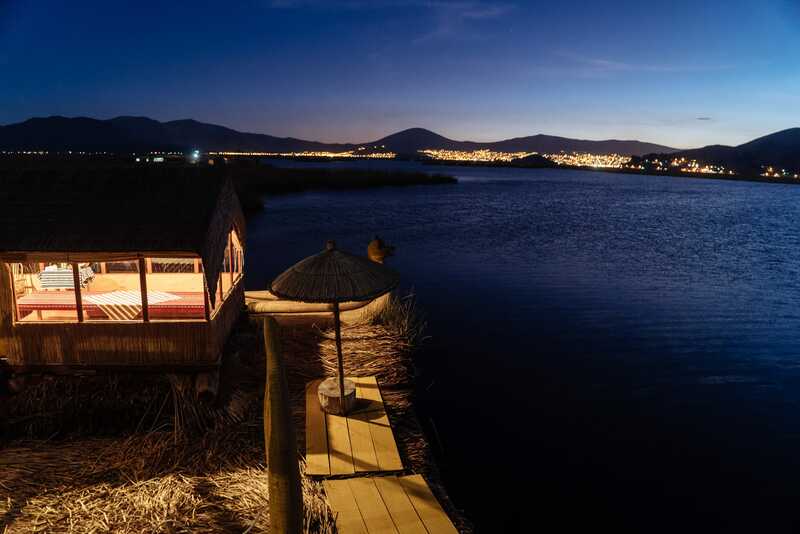 At night, standing on the edge of the floating island, I could see the twinkling city lights of Puno. The otherwise hectic and noisy life of the city appeared quiet and serene from the distance. What are the mountain gods thinking about Uros while looking down at the lake? What is the future of Uros? Not isolated anymore the Uros culture has a lot to offer to the outer world. 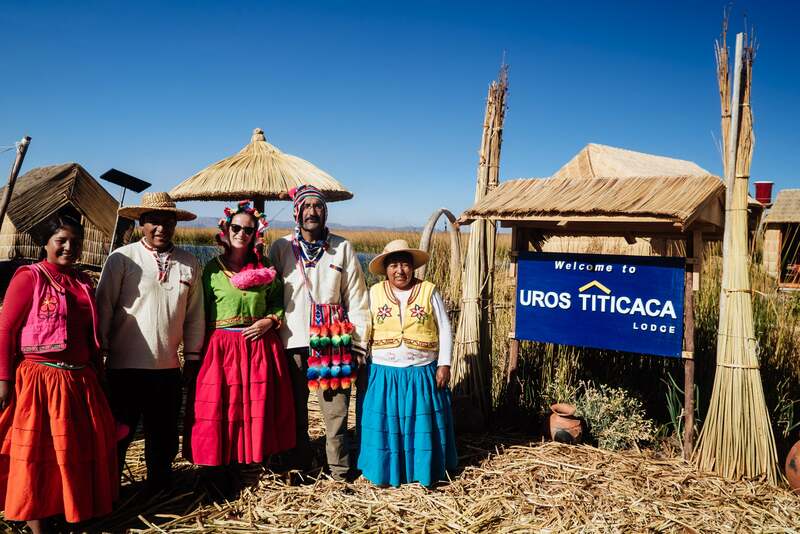 Tourism has changed life at Uros in many ways, but mostly in a good way. They are equipped with modern technologies now, but they maintain their traditional way of life and adhere to centuries-old customs and beliefs. Life on the islands is tough, but there is hope in the next generation. With tourism and some support from the outer world, this community can keep their culture and traditions alive without compromising on their own wellbeing and quality of life. Beautifully described… but I guess you forgot to mention the weather, I read whole just to know the weather there.. Please Edit the post or reply the comment.. Stay Blessed.. Amused agaian by your detailing and such wonderful and relevant photography. It is always wonderful and inspiring to read your travelogues.